Our mission at Studio44 is to take the struggle out of furniture specification, procurement and installation. We aim to be your Furniture Consultant of choice during any changes to your property portfolio. Furniture is an opportunity to enhance productivity and wellbeing in the workplace. In the fight for top talent, it is a worthwhile investment to create effective office space where employees don’t just work, they thrive. Interested in working with Studio44? 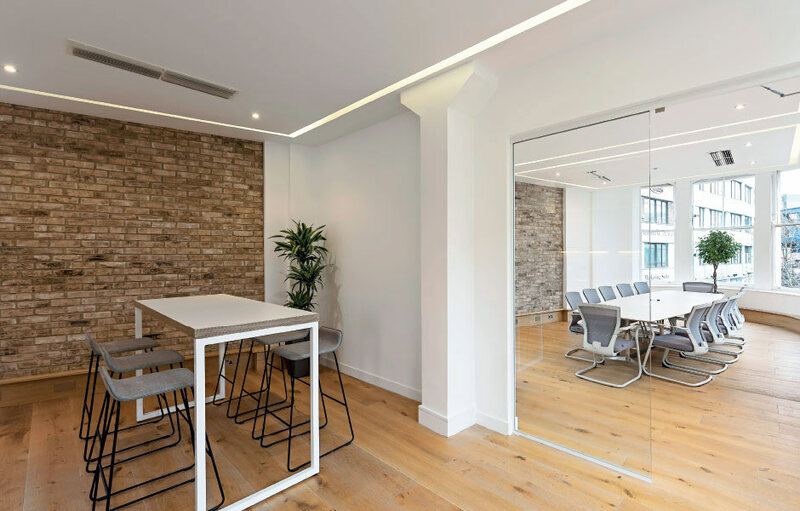 Through a strategic partnership, Studio44 Furniture Consultancy is able to take advantage of X4 Office’s successful delivery, installation and moves business. We benefit, therefore from over 22 years’ experience of delivering furniture worldwide from high end boutiques to large scale commercial roll out projects. Studio44 provides furniture consultancy services for clients, architects, project managers and cost consultants. We ensure that budget, performance and design expectations are met. It is important to have control at the most business critical time: Delivery and Installation. This is why Studio44 have a warehouse and employed fitters for a unique, specialist installation nationwide and globally. Strength when it matters.